God is always speaking to us through His creation. When we engage in the story God is writing in human history He will Form us and create in us a beautiful work of art with purpose and intention. In Jeremiah 18 we hear God speaking to us through the art form of Pottery. In this moment God declares to the nation of Israel that if they let Him, He can form them into something beautiful. When we follow Jesus God will form us into a beautiful masterpiece and reveal his purpose and intention for our lives. The type of unity we are called to as a tribe is not a static, lifeless togetherness, but an active, progressive movement as we follow the lead of our Savior. We live in a world that is rampant with discouraging words, crippling comparison and an endless cycle of gossip, and it is so important that we look at what the Word has to say about our language one another. As His tribe, we need a common tongue of love and encouragement. The first message in our TRIBE series, we are looking at the heartbeat of Christ for His Church – Unity. 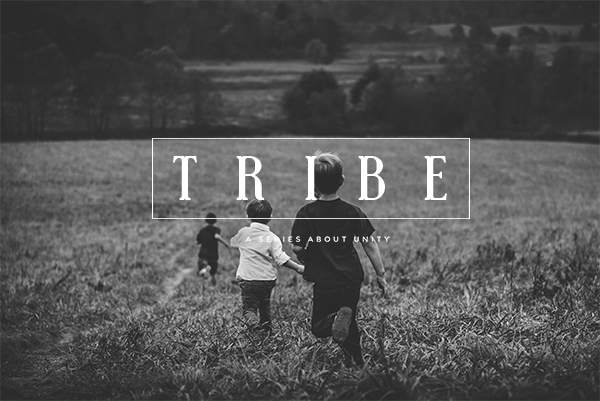 Tribe is a series focused on what it looks like when we go from being separate persons to being a people called by His Name.